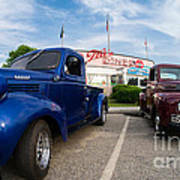 There are no comments for Cruise Night At The Diner. Click here to post the first comment. NOTE: The watermark in the lower right does not appear in the final print. 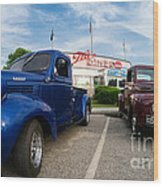 ..... A row of classic pickup trucks in front of the Tilt'n Diner, Tilton, New Hampshire. .... Fine art photography by Edward M. Fielding - www.edwardfielding.com .... 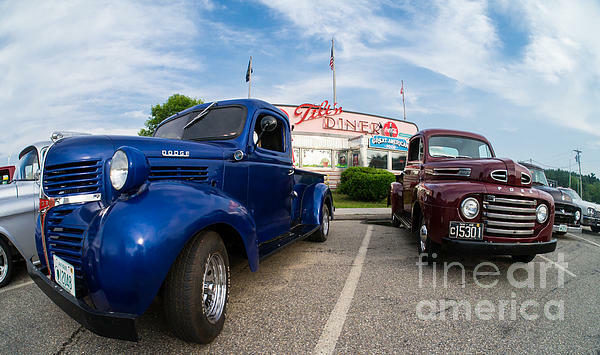 Tilt'n Diner in Tilton, N.H. is a traditional 50's style diner conveniently located near the Tanger Outlet Center.